Varna, Bulgaria – 20/7/2010 | Camperissimo! We moved on to Bulgaria quite early in the morning. The border was just a few kilometres away and I was interested and excited to find out if Bulgaria will feel different than Romania, and if so, in which way. Most of the time Romania felt foreign and unfamiliar, which made it very exciting and interesting, but it also meant it was difficult at times for me to completely relax. The first thing we saw: fields and fields and fields of sunflowers. Immediately after crossing the Bulgarian border, I started feeling different. We stopped for coffee at the petrol station (but ended up only filling up our water containers because the electricity didn’t work and no electricity = no coffee). I know I couldn’t have noticed any objective differences in two countries in the first ten kilometres after the border, but being able to communicate with people in my own language and actually understanding what they’re saying back (since Croatian and Bulgarian are both Slavic languages), made a huge difference. 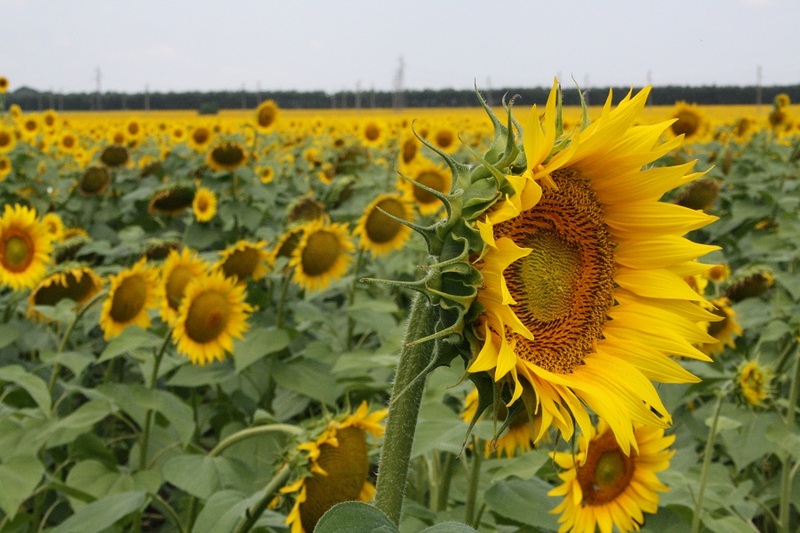 The road to Varna took us close to the sea and through beautiful fields and fields of sunflowers. It was a wonderful, sunny day and all of the sudden, I could feel myself completely relax. We stopped at another petrol station which was very modern and had a car wash service and the cleanest bathrooms. Opportunity like that could not be missed – I took a long shower while we were waiting for Camperissimo to be showered as well. We were all clean when we arrived in Varna in the afternoon. We found a place to park in a residential area and started walking to the centre. After ten minutes, a nice sunny day turned into something completely different as heavy rain started falling completely unexpectedly. We found shelter in a shop that sold kitchenware but couldn’t really stay in there for too long. And, as we couldn’t find anything we wanted to buy, we ran to the first bar. It turned out to be a local, smelly place but still we had a nice beer while we were waiting for the rain to stop. 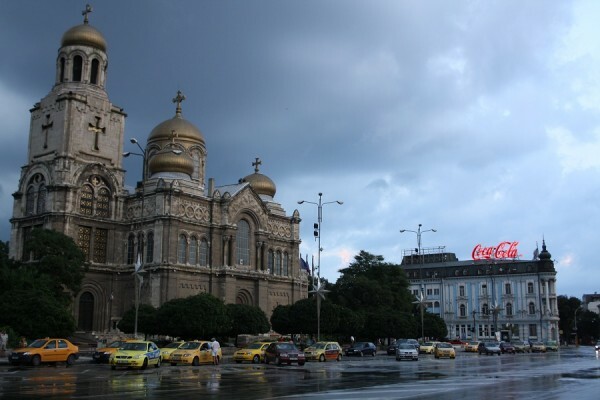 Varna was pretty lively – lots of people, restaurants and bars. After having dinner in the centre (not very tasty but we were hungry) and buying a sim card we could use for the Internet (Jay argued shortly in Croatian with a guy who tried to cut the line and he won), we went back to the van and fell asleep before 10 p.m. 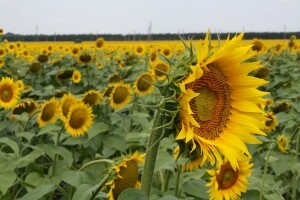 This entry was posted in Camper Trip July 2010 and tagged 2010, Bulgaria, diary, rain, sunflowers, Varna. Bookmark the permalink.